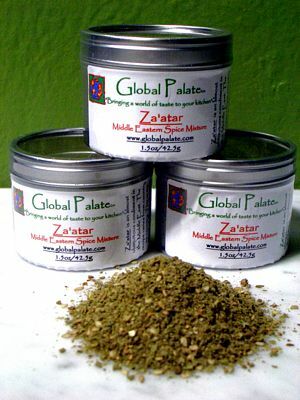 I love Za'atar. Its fresh and herbal taste just brightens up so many foods with nothing more than a sprinkle. I also blend it in a mortar and pestle with some olive oil and garlic and a bit of lemon juice as a marinade for shrimp or fish. Try the recipe below for new taste treat. In the bowl of a food processor, combine the lemon juice, lemon zest, garlic, Pimentón, Za’atar, and Urfa Biber. Pulse to combine. With the motor is running slowly add the olive oil and process until all of the ingredients are well mixed. In a large non-reactive bowl, add the peeled shrimp and pour the garlic-Za’atar mixture over the shrimp and toss well to combine. Allow the shrimp to marinate for about ½ hr-1hr but not much longer as the acid will “cook” the shrimp and cause it to become tough. Preheat a grill to medium high while the shrimp is marinating. Remove the shrimp from the bowl and place onto the hot grill cooking them for a few minutes on each side until they turn pink and the edges get a golden brown. Remove the cooked shrimp from the grill and place onto a serving platter. Garnish with some chopped parsley and a squeeze of lemon.